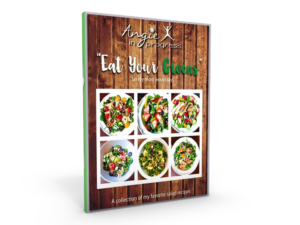 FREE Salad (& Dressing ) Recipes! 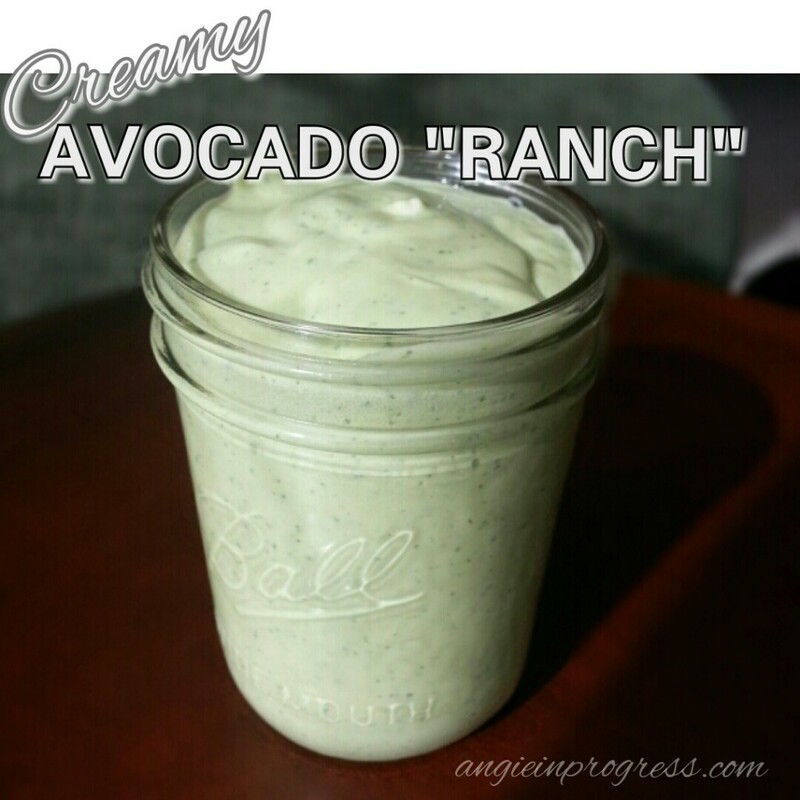 *This recipe was inspired by a dressing recipe from “The 21 Day Fix”. I just had to tweak a few amounts and ingredients for my taste! WHAT IS THE 21 DAY FIX?! Place avocado, yogurt, herbs, lemon juice, buttermilk, garlic, salt and pepper in a blender; cover (duh!). Blend until smooth. Continue blending avocado mixture, slowly adding oil until well-blended. *Use more buttermilk if you prefer a thinner consistency. Store in the frig, tightly covered, until ready for use. I filled a pint Ball jar to the top! Best News: There are only 34 calories in 1 Tablespoon of this dressing…so go ahead and have 2! Unlike THIS chemical ____ storm ingredient list! YIKES! What the heck is disodium inosinate? My spell-checker doesn’t even recognize those as words, let alone FOOD! Blech! What’s on SALE this month?! Love the little farmer on the label and all the pretty farm land and veggis to make us feel good about buying/eating it. lol. I remember when I realized how well that works while talking with my kids and having to explain to them that healthy veggis on the label, didn’t make it healthy, or full of veggis. 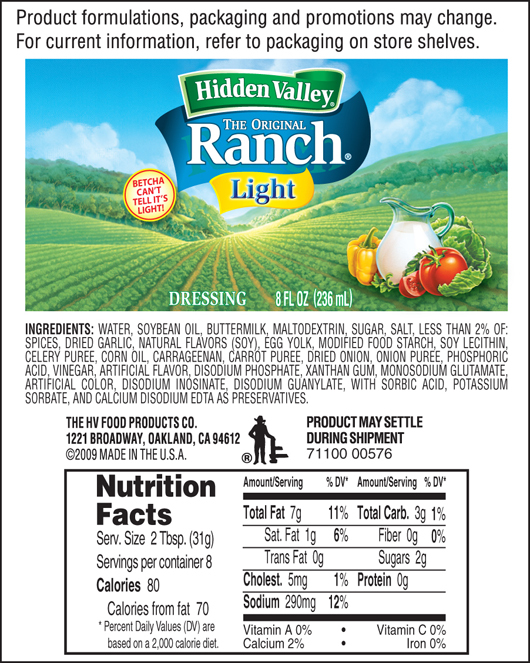 Just had some avocado ranch dressing at a restaurant last night and it was divine. Not exaggerating! I’d love to make my own so I know what goes into it. Do you know how long it lasts in the refrigerator? Carmen, I keep mine for up to a week. Yes, T is for Tablespoon. And 1 cup is about 250mL. I’m sure that substitution would work. Maybe add just a splash of vinegar to the milk (which is a sub for buttermilk, too). What would this recipe equal to with the 21 day fix colors? Hello. I am new to clean eating…so forgive my ignorance, but is buttermilk considered a “clean eating” ingredient? It has ingredients that are hard to pronounce. Is there a special buttermilk you use or would recommend? This looks really yummy!! Yes, I would consider real buttermilk a “clean” ingredient. Anything that is not processed, etc…:) Hope that helps! Previous PostPrevious Time for a GIVEAWAY!